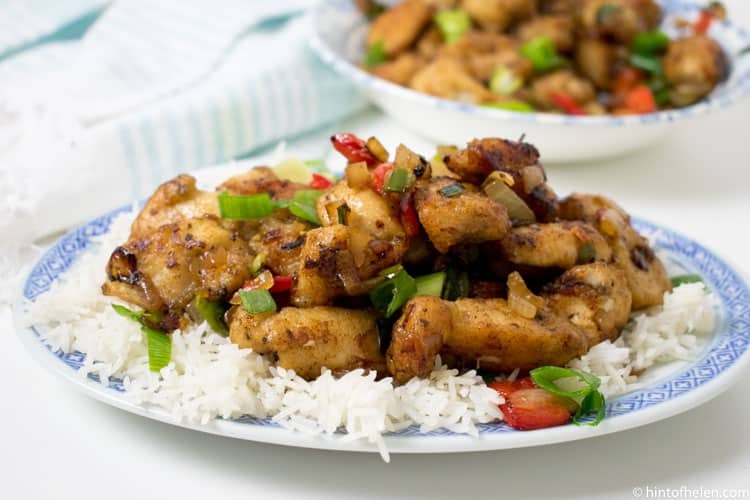 Salt and pepper chicken wings are one of my favorite starters to get at a Chinese takeaway. 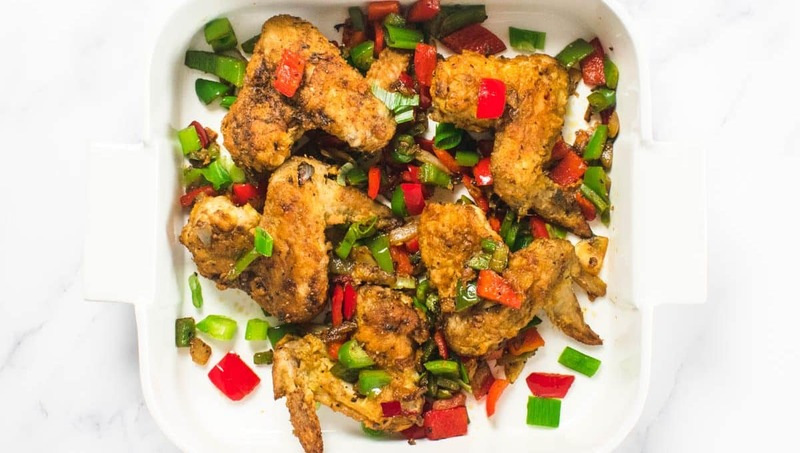 Here’s a quick and easy way to make the delicious wings at home. 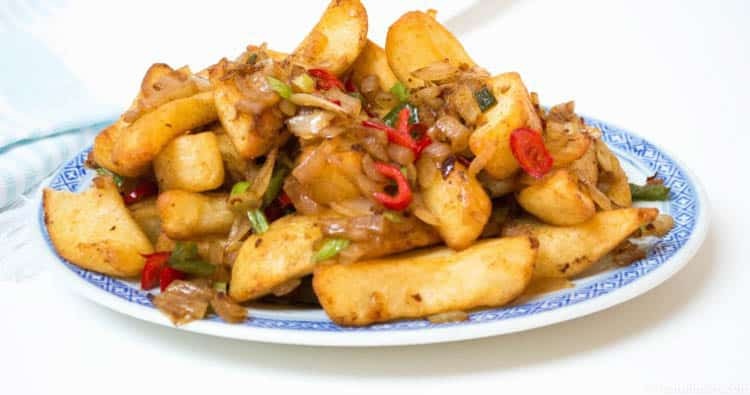 I worked in a chinese restauraunt a few years ago; and this was our most popular side dish, unsurprisingly as anything salt and pepper is amazing (see also my recipe for salt and pepper chips, and salt and pepper chicken breast). It’s so simple and quick to make, and the result is really worth the extra effort you put in. One tip is urge you to follow is don’t skip the part where you cook the onions to perfection – the onions are an important part of making this dish what it is so make sure they’re sweet and delicious. 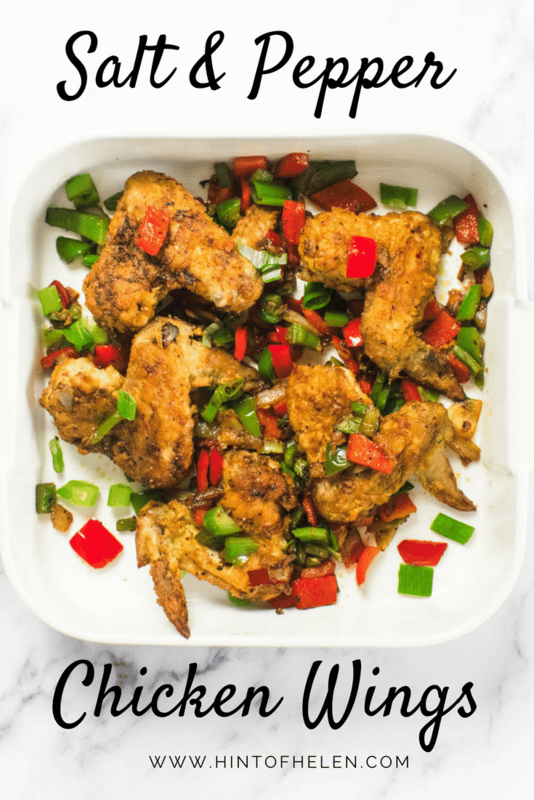 Using chicken wings makes this recipe super cheap and perfect for a home takeaway. 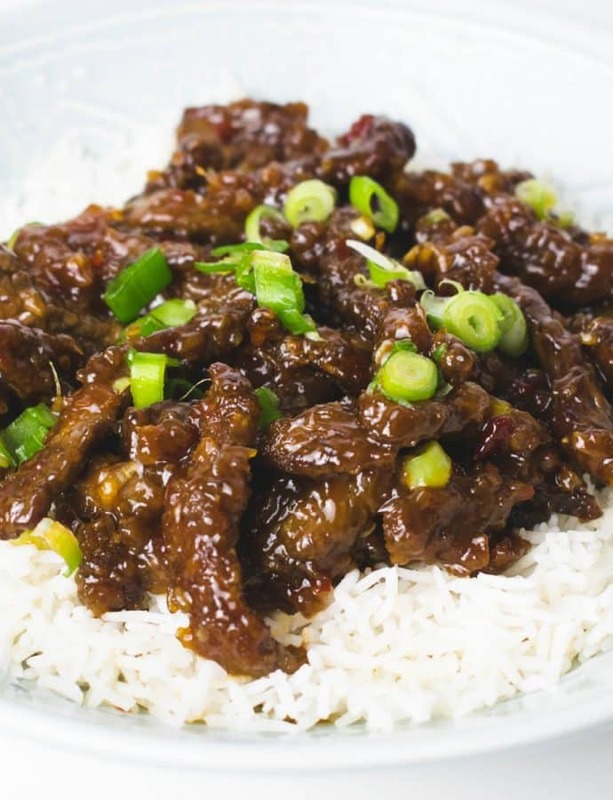 It’ll take you less time, less calories and less money to make this, and once you master it, I’m sure you’ll say its even better than the local Chinese takeaway. The best thing about making your favorite restaurant classics at home is that you’re able to make it just how you like it – as spicy as you like, as chunky as you like, as much as you like! 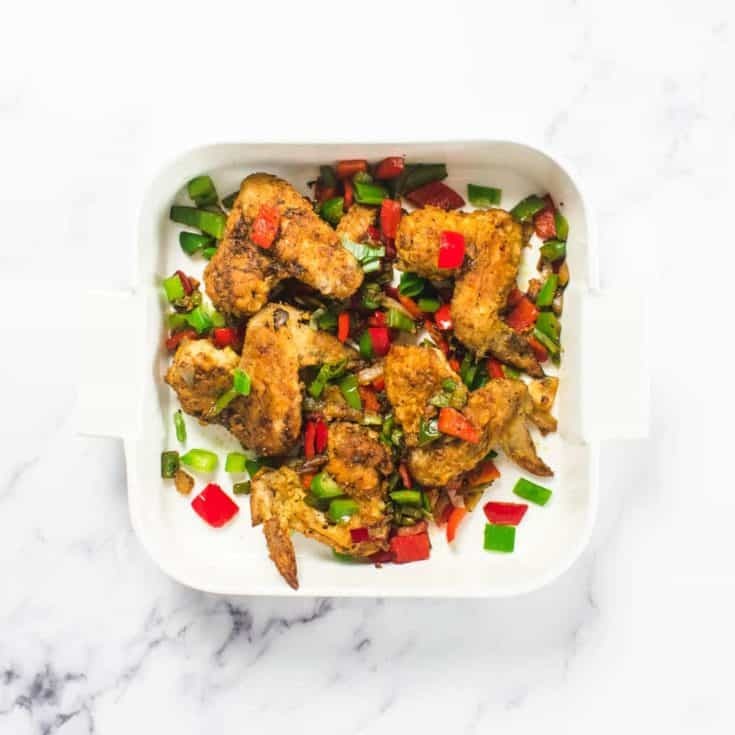 Let me know how you get on with this Salt & Pepper chicken wing recipe in the comments below! Use a wooden spoon or tongues to make sure you really mix together the vegetables, seasoning and chicken wings - cook for a further couple of minutes until your chicken is hot through - then serve and enjoy!